"On this day, let us rededicate ourselves to continuing our work until we reach the day we know is possible—when no child has to know the pain of HIV/AIDS and no life is limited by this virus." The ADA prohibits discrimination by all public employers and all private employers with 15 or more employees.Discrimination against qualified individuals (i.e., an individual who can perform the essential functions of the job with or without reasonable accommodations) is prohibited in all employment practices, including hiring, firing, application procedures, job assignments, reassignments, training, benefits, and promotions. Employers must provide reasonable accommodations to the known disability of any qualified individual. A reasonable accommodation is any modification or adjustment to a job, the job application process, or the work environment that will enable a qualified applicant or employee with a disability to perform the essential functions of the job, participate in the application process, or enjoy the benefits and privileges of employment. An applicant or employee who believes that he or she has been subjected to discrimination on the basis of having HIV or AIDS should file a complaint with the Equal Employment Opportunity Commission (EEOC) within 180 days (or in many states 300 days) of when the discrimination occurred. 4000 (Voice) or 800-669-6820 (TTY) or visit www.eeoc.gov. The ADA prohibits discrimination by public accommodations, which include businesses and non-profit service organizations that provide goods or services to the public, such as restaurants, hotels, theaters, doctors' offices, dentists' offices, hospitals, retail stores, health clubs, museums, libraries, private schools, and day care centers. — Must give a person with a disability an equal opportunity to use or enjoy the entity's goods, services, and facilities. — Must make reasonable modifications in policies, practices, or procedures when necessary to afford goods and services to individuals with disabilities. — Must provide auxiliary aids and services when necessary to ensure effective communication with individuals with disabilities. — Must ensure that no individual with a disability is excluded, denied services, segregated, or otherwise treated differently than other individuals. The ADA applies to all State and local government programs, actions, and services.State and local governments include a wide range of entities and services, such as public schools, county hospitals, emergency responders, and county recreation centers.State and local governments must reasonably modify their policies, practices, and procedures; must provide auxiliary aids and services necessary for effective communication; and must make programs, services, and activities accessible to individuals with disabilities. —May refer a person who requests or requires treatment or services outside the provider's area of expertise. A public or private entity cannot exclude a person with HIV or AIDS unless that person poses a "direct threat" to the health or safety of others.A direct threat analysis must be individualized, finding a significant risk to the health or safety of others that cannot be eliminated or reduced to an acceptable level by reasonable modifications to policies, practices, or procedures. A person who believes that he or she is being or has been discriminated against because of HIV or AIDS by a public accommodation or a State or local government may file a complaint with the U.S. Department of Justice (DOJ).Individuals are also entitled to bring private lawsuits under the ADA. 669-9777 (Voice) or 800-927-9275 (TTY) or visit www.hud.gov/complaints. For more information on the ADA and the rights of persons living with HIV/AIDS, or to request this publication in an alternative format, call our ADA Information Line Monday through Wednesday, Friday 9:30 a.m. - 5:30 p.m., Thursday 12:30 p.m. - 5:30 p.m. (Eastern Time) to speak with an ADA specialist.Calls are confidential. 781-9403 (TTY) or visit www.askjan.org. 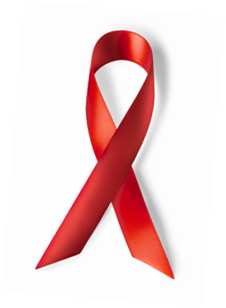 For more Federal government resources and information on HIV/AIDS, including about prevention, testing, treatment, research, and the National HIV/AIDS Strategy, visit www.aids.gov.